HomeBob Hoffman Named as Interim President & CEO for Greater Mankato Growth, Inc.
Bob Hoffman Named as Interim President & CEO for Greater Mankato Growth, Inc.
MANKATO, MINN. (February 7, 2019) – Earlier today, the Greater Mankato Growth, Inc. (GMG) Board of Directors approved the appointment of Dr. Robert Hoffman as Interim President & CEO for Greater Mankato Growth, Inc.
Hoffman has agreed to devote the equivalent of 75% of the time required of a full-time position to this transitional effort and will assume all responsibilities of the CEO position. Furthermore, he has agreed to assist in the smooth onboarding of the permanent CEO appointment as needed. Out of respect for this enormous commitment that will take effect on February 25, 2019, the GMG Board of Directors will honor Hoffman’s request to not be considered a candidate for the full-time role in order to allow him to ultimately return to his numerous community and personal obligations. The timing of this appointment will also give Bob and current CEO, Jonathan Zierdt a full three-week period to work together and ensure a seamless change in leadership that becomes effective with Jonathan’s previously announced departure on March 15, 2019. Hoffman has an extensive list of business, community and collaborative experiences, as well as serving from 2013 – 2014 on the GMG Board. 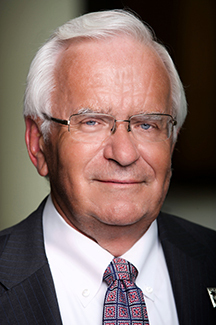 He is currently a member of the Minnesota State (formerly known as MnSCU) Board and has served as its Chair. Bob has also been the Chair of the Ecumen Board of Directors and was previously the Chair of the Southern Minnesota Initiative Foundation Board. Hoffman’s career includes having served as Vice President of Strategic Business Education and Regional Partnerships at Minnesota State University, Mankato, Vice President with Taylor Corporation, Senior Vice President of Brown Printing Company and as the Superintendent of Schools in Waseca. Bob currently lives in Waseca. “GMG is extremely fortunate to have such a talented, highly respected and admired professional step into this interim role,” stated GMG Board of Director’s Chairman Ron Vetter. “While the Board acknowledges that it will be very difficult to fill the position so adeptly executed by Jonathan Zierdt there is great excitement and support for the energy and experience that Dr. Hoffman brings to this interim role. Bob will serve as an excellent bridge as we search for a new leader for Greater Mankato Growth, Inc.,” stated Vetter. This interim role is expected to last approximately five to seven months. The process of conducting a national search for a permanent CEO replacement is already underway and on schedule.